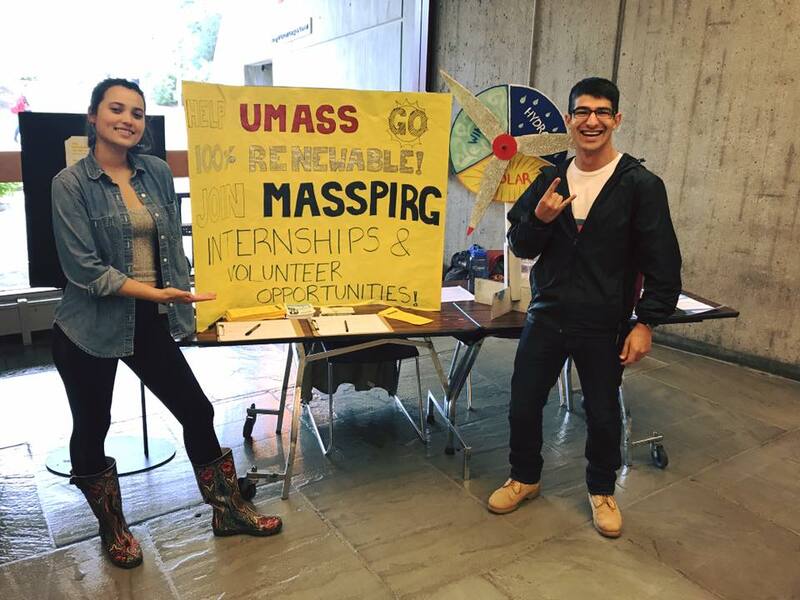 The UMass Amherst MASSPIRG Chapter began in 1972. 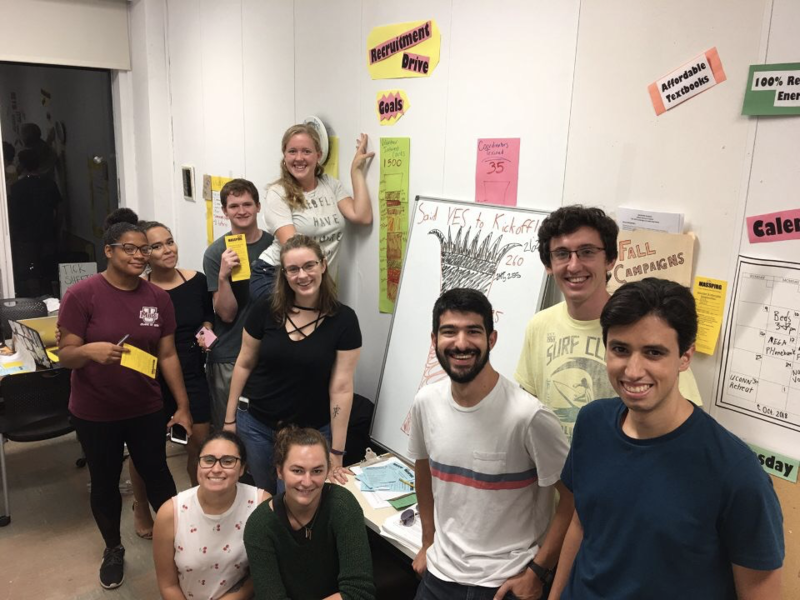 We are one of the oldest PIRG chapters in the country. 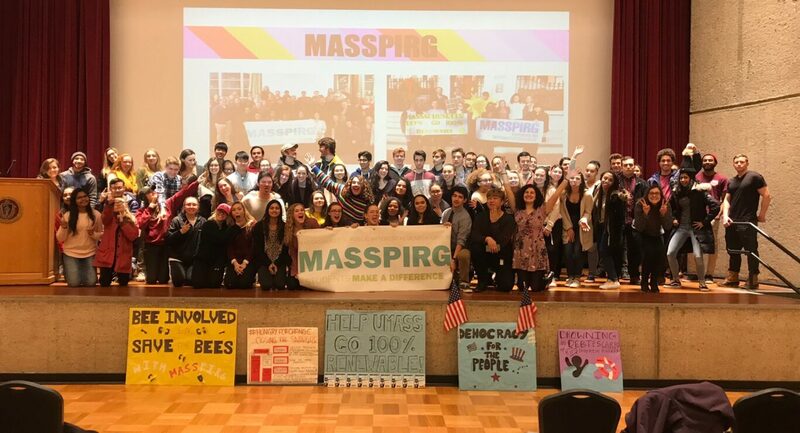 For over 45 years, we’ve been organizing students on our campus to play an active role in making our society a better place by running local, statewide, and national campaigns on issues that affect us as students and citizens. 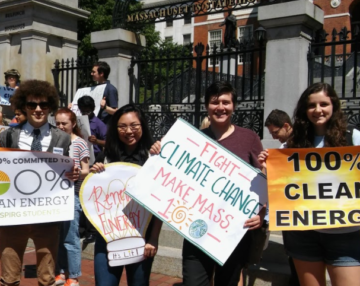 Recently, we’ve been working get our campus to be a leader in fighting climate change by committing to get 100 percent of our energy from clean, safe, renewable sources. 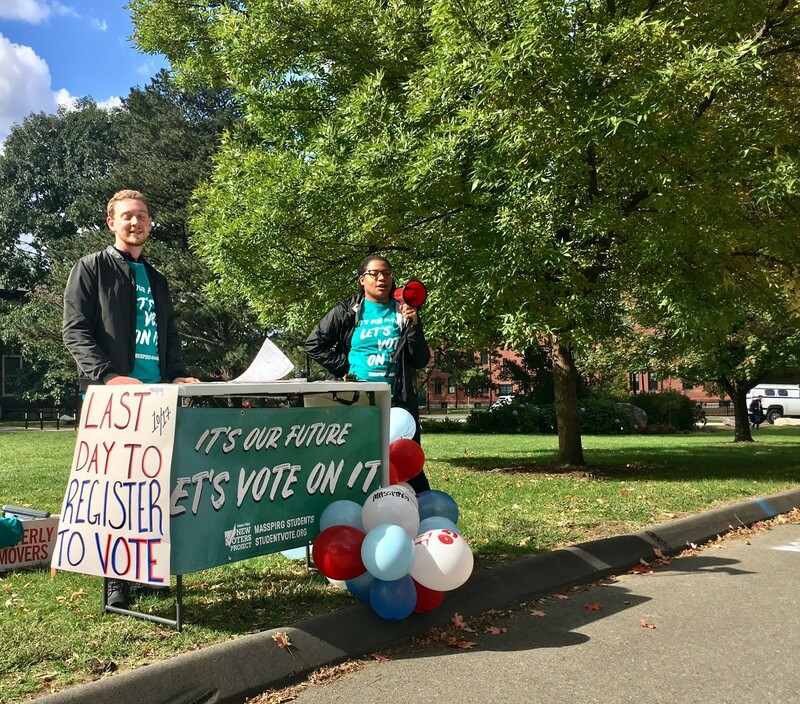 You may also know us from our New Voters Project, our non-partisan youth voter mobilization effort to help first-time voters have the tools they need to get registered and turn out to vote. 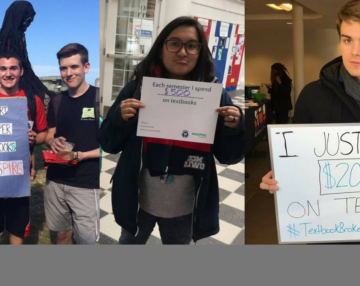 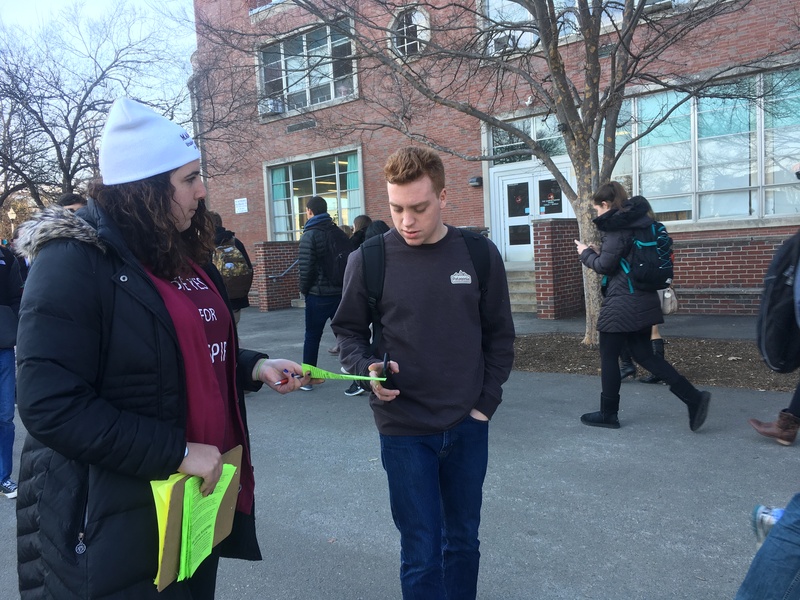 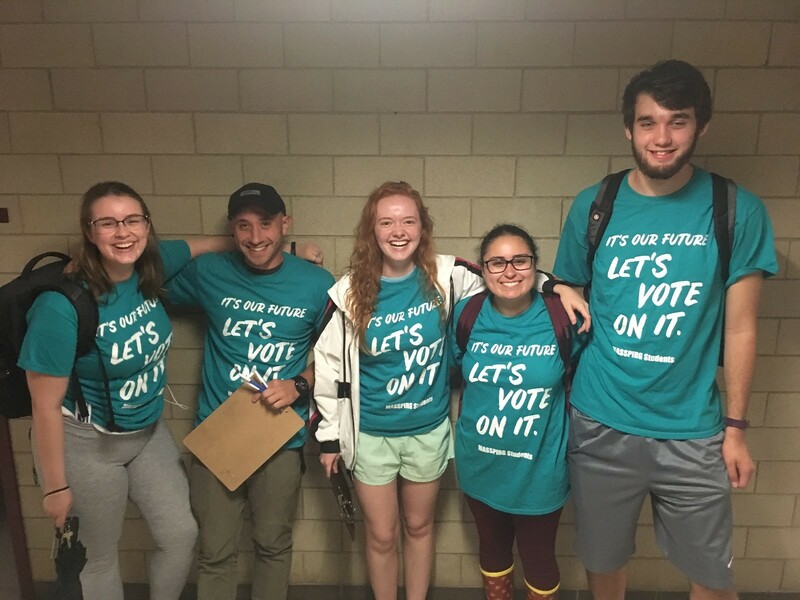 In the 2018 elections, we helped register over 1200 students to vote and saw a 75% increase at the student-heavy polling locations near campus since the 2014 midterm elections. 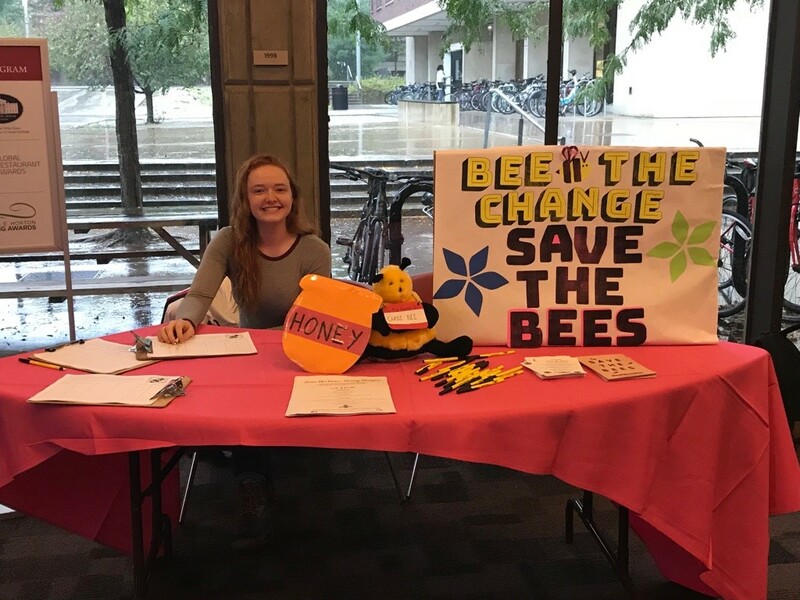 We are also running a campaign to make textbooks more affordable by promoting open education resources, save the bees by making UMass a bee-friendly campus, and alleviate poverty locally and across the state. 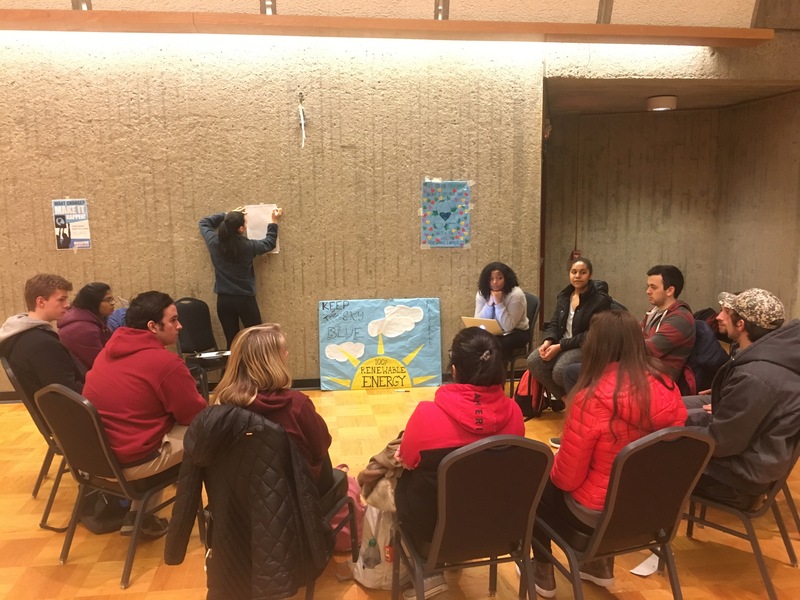 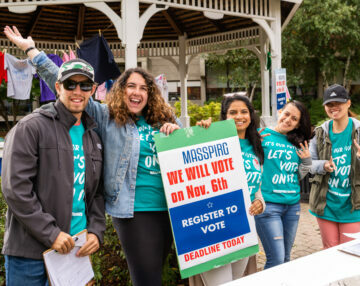 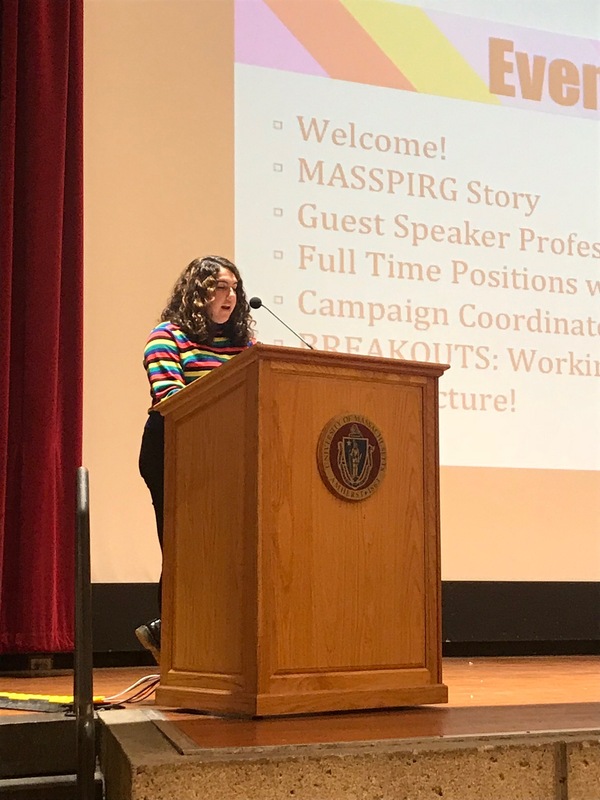 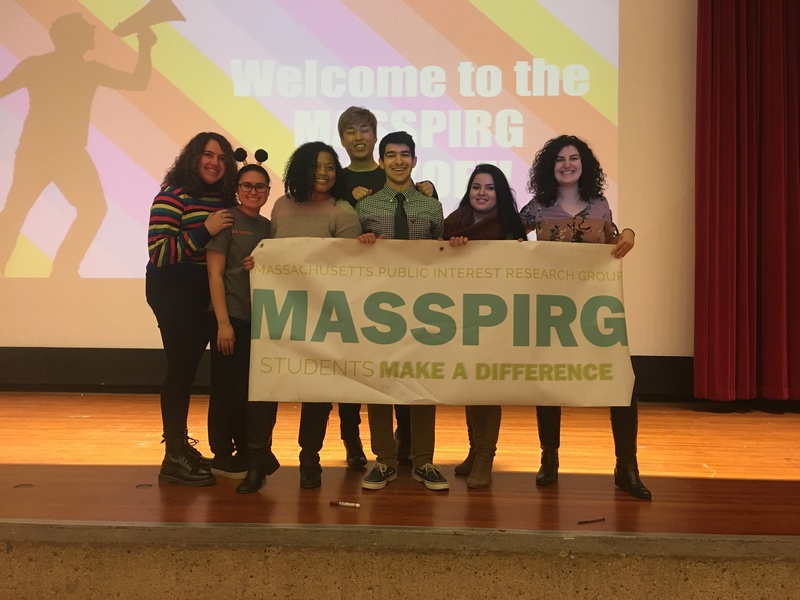 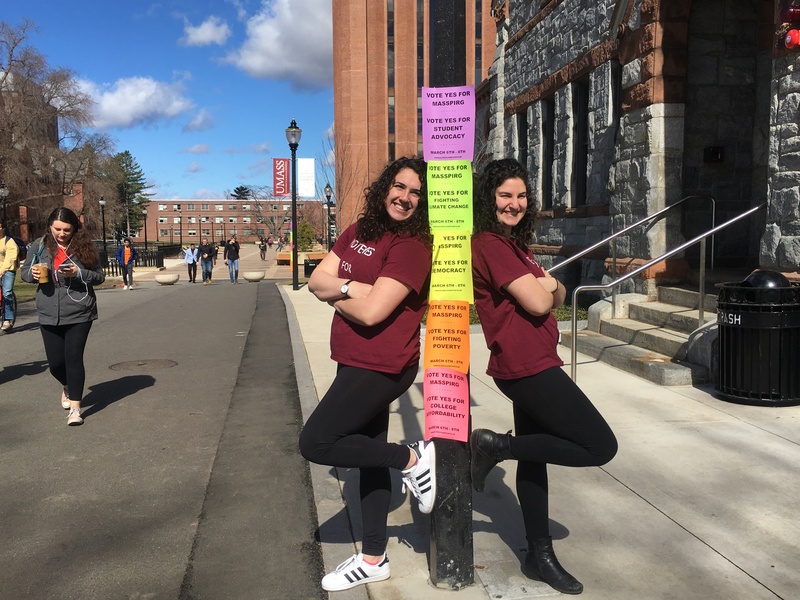 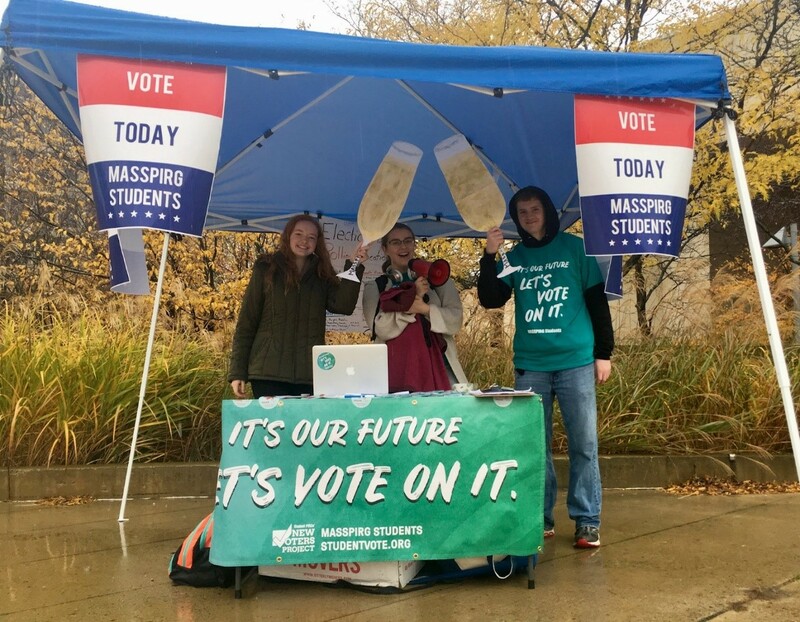 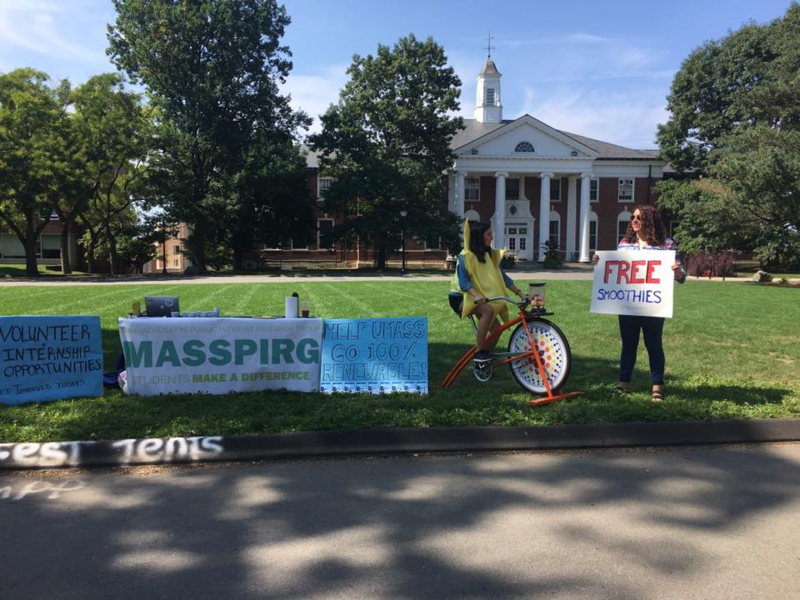 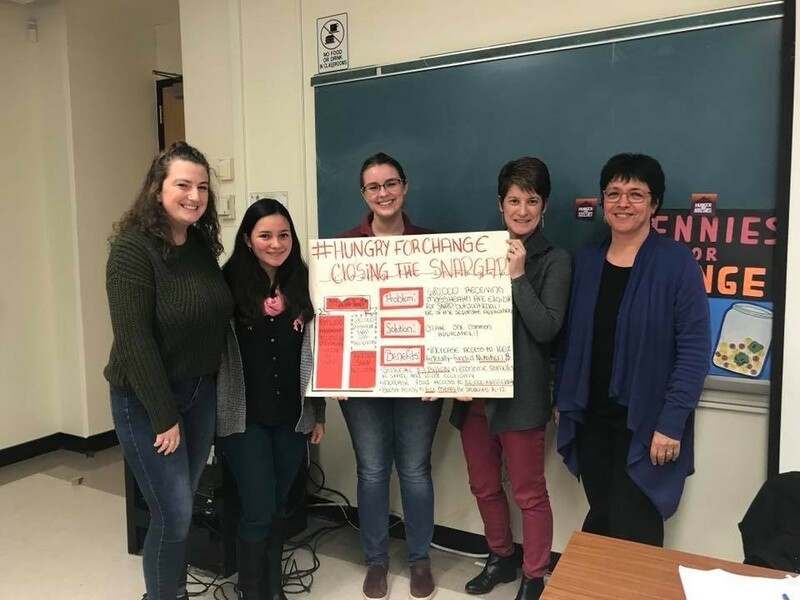 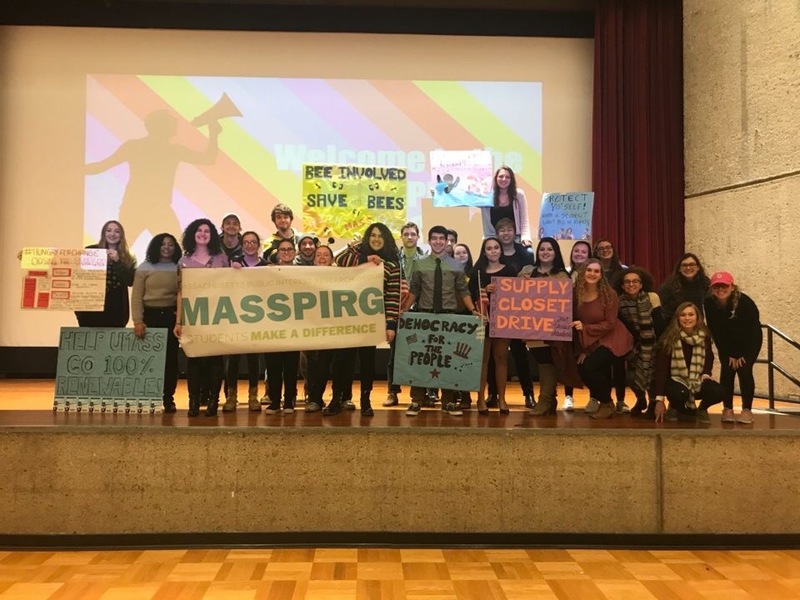 We are able to do all this because students here at UMass have voted for the past 46 years to have a MASSPIRG chapter, funded through an $11 waive-able fee that appears on the tuition bill. 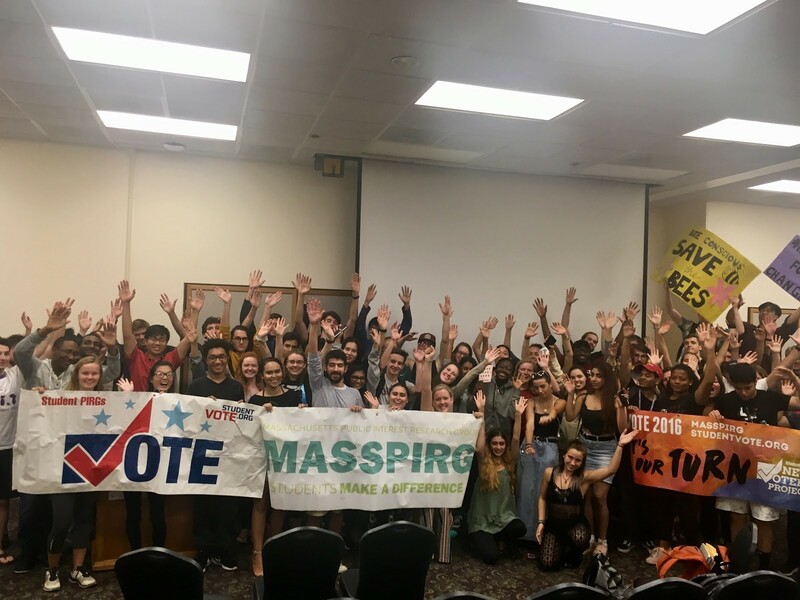 This money, pooled together with students from all across the state, allows us to have a much bigger impact on these issues at the state and national level, by hiring advocates, lawyers, organizers, and experts to help us run effective campaigns and have a much stronger voice where decisions are made.